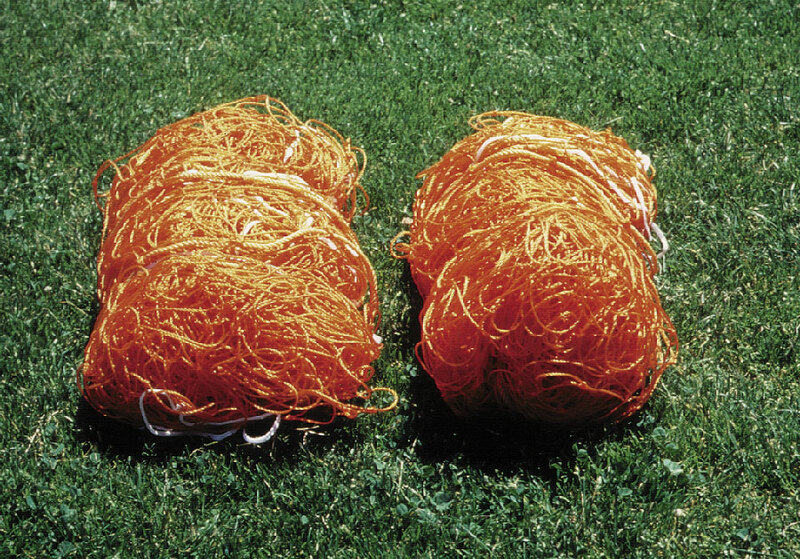 Official heavy-duty synthetic orange soccer nets. 8' H x 24' W x 4' D x 10' B. 2.8 mm polyethylene. Rope border.